Ali Abdullah Saleh, the former president of Yemen who became an ally of the Houthi insurgency, has been killed in an attack near the capital city of Sanaa. Although Saleh joined forces with the Houthi rebels to oust his successor, President Abdrabbuh Mansur Hadi, it was the Houthis who did him in. The BBC cites local media reports that Houthi fighters “opened fire on Saleh’s convoy as it passed through a checkpoint on the way from Sanaa to his hometown of Sanhan.” Video of gunmen carrying what appeared to be Saleh’s bloody body and shouting victorious chants was posted to social media. Saleh did indeed make overtures to the Saudis, not in secret but in a televised speech on Saturday. “I call upon the brothers in neighboring states and the alliance to stop their aggression, lift the siege, open the airports and allow food aid and the saving of the wounded and we will turn a new page by virtue of our neighborliness. We will deal with them in a positive way and what happened to Yemen is enough,” he said. The Saudis were delighted by Saleh’s remarks, doubtless eager to work out a conclusion for an intervention in Yemen that has proven longer and bloodier than they bargained for. The Houthis were evidently much less delighted. “It is not strange or surprising that Saleh turns his back on a partnership he never believed in. The priority has been and still is to confront the forces of aggression,” sneered the Houthi political apparatus, shortly before their military apparatus emphasized the point by pumping Saleh’s convoy full of bullets and blowing up his house for good measure. Sanaa has been gripped by infighting between the Houthis and Saleh supporters since Wednesday, with at least 125 fatalities so far. Tensions have been growing within the insurgent coalition since the summer when a huge rally by Saleh supporters led to some street violence and demonstrations of military power by the Houthis. 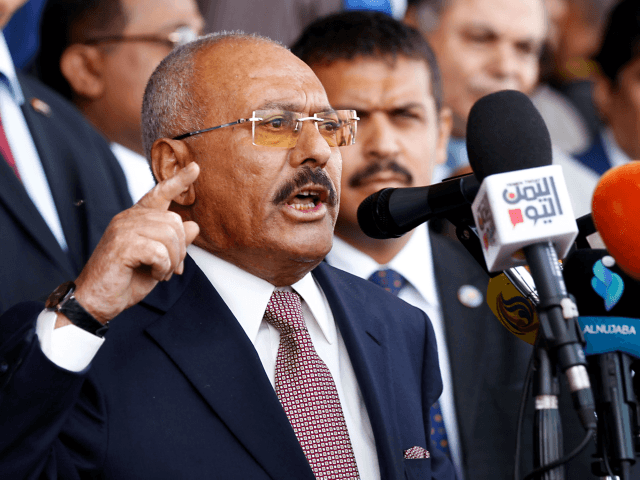 Among other complaints, Saleh’s faction was said to be disgusted by rampant corruption in the Houthi insurgent government, weary of airstrikes from the Saudi coalition, and furious at a decision by the Houthis to double the price of fuel. These tensions flared into street violence after Houthi fighters stormed a mosque in Sanaa named after Saleh, who ruled Yemen for over 30 years before losing power in the 2011 Arab Spring uprisings. At first, it seemed like Saleh’s forces were gaining the upper hand in Sanaa, and might even be able to force an end to the Yemeni civil war, but on Monday Al-Jazeera reported the Houthis have recaptured control of most of the capital. That might change if a counterattack by forces loyal to Hadi and his internationally-recognized government in exile succeeds. The Hadi government dubbed this offensive “Operation Arabian Sanaa” and offered full amnesty to fighters who sever ties with the Houthis and their patrons in Iran. “I call upon all the Yemeni people everywhere to resist this criminal militia, and assure you all that I have instructed our Armed Forces, stationed around Sanaa, to be your support and aid,” Hadi announced on Monday, seeking to capitalize on revulsion within the capital city at Saleh’s killing.